​As someone who works in the travel industry it is no secret that I believe travel is extremely important. With that said I want to lay out some of my reasons for this belief, specifically the belief that family travel is important. I read an article the other day about the amount of money that is spent on toys, games, and other things for kids in our society and the numbers were staggering. We spend a huge amount of money on these things and in many cases the things we purchase are not truly needed or wanted by the kids, not to mention they contribute to the clutter in our homes. Well, that last part may just be in my home, but some people can probably relate. Anyways, as children grow into young adults and then become adults themselves I think as parents and grandparents we should be filling them up on memories and experiences more so than filling them up on material possessions. So, here are a few reasons I think family travel is an extremely important part of the development of children and of the family as a whole. No matter how you look at it, when you travel as a family you are forced to spend time as a family. Now, some of you may be turned off right there...just kidding! When you travel you are with each other and if you’re lucky you may be without internet access...even better! These are the times when families are forced to come together. I know for my family, both growing up and now that I have a family of my own, when we travel we converse more so than we do at home. Just that fact alone is going to be extremely important in causing different family members to become closer to each other. Travel can also cause some hardships whether it be a travel delay or an argument over where to eat dinner, but these are often times when you end up making the best of a bad situation and that in itself can add some positive family dynamics and experiences that you may always remember. No matter where you travel just the process of traveling itself is an educational experience. Give your young children a certain amount of spending money and have them create a budget for souvenirs, how about that real world application from math class. Or take a day out of your trip to discover the history and heritage of the area you are visiting. Or taking some time to visit the local science or art museum. Really, any destination can have an educational aspect and when you do it as a family everyone is learning. Just the travel process in general is a real world learning experience. When you travel kids learn how to go through security at an airport, how to rent a car, how to check into a hotel or a multitude of other things. All of those things are things they’ll need to do at a later point in their life, and that sounds like a learning experience to me. And, in the the process of learning on vacation you are still bringing your family closer together which I’ve already mentioned is a positive byproduct of traveling. One of the most important reasons that I am a huge fan of traveling with my family is the lifelong memories we are creating. I can honestly say I don’t have a meaningful memory about a toy, video game, or anything else like that from my childhood. But I can remember like it was yesterday the time my family spent together in Pigeon Forge, Tennessee going to Dollywood and driving a convertible around because our car broke down on the way back from the east coast. I have great memories of when we went to Southern California with my family, including my grandparents, and visited Knott’s Berry Farm and ate seafood on the California coast. I can remember in my childhood going with my grandparents for a week one summer to San Antonio, TX and visiting all of the missions on the Mission Trail, ending at the Alamo. I could go on and on with other memories and that is the reason I travel with my family and my kids. The memories we are creating as a family will not go away for me or for them. Now, don’t get me wrong as you read this article. I’m not saying to stop celebrating the holidays or birthdays or to quit giving gifts, but just think for yourself all of the positives that come from traveling with your family. What are some ways you and your family may can find a happy medium between those two areas? I know for my family we have found a way to travel with our kids and it is the most satisfying part of my life. We took our oldest son to Disney World when he was 18 months old. Many people said, “He’s not going to remember that, why are you wasting your money and time?” Well now I tell those people this story. When we went back to Disney the next year we were watching the Magic Kingdom Welcome Show. As the show started our son started pointing off to the right of the train station and saying “Choo Choo”. You see about five minutes into the show a train comes in from the right and Mickey and his friends get off. It was at that moment I realized, my wife or I hadn’t said anything about a train, he remembered that from the year before. And sure enough in five minutes when the train rolled in he had a look on his face that I’ll never forget. That is why we travel with our family, and why I think you should too. As I work with clients on planning the perfect vacation for them and their families one area that people are often a bit apprehensive is when I mention a cruise vacation. I’m not sure where the apprehension comes from though. Maybe it is the small room, maybe it is leaving the country, maybe it is the fear of getting seasickness, or maybe it is just not being on dry land. Whatever the case may be cruising can come with fear or apprehension and with that in mind I’m going to give you five reasons why cruising may just be the vacation you’ve been waiting for. Keep your mind open and maybe, just maybe this list will put to rest some of the objections you or someone in your family has towards cruising. Cruising is Family Friendly - Cruises are truly a family friendly experience and are the ultimate way for a family to vacation together. Cruises give your family the chance to participate in activities together, that everyone will enjoy, and will bring your family closer together, but they are also going to give each person their own individual experiences. Regardless of the ages of the various members of your family a cruise is going to have something for everyone. From the kids clubs, to the teen areas, to the adult entertainment districts there are options on-board to suit everyone. Your family is going to get the best of both worlds. You are going to have time together whether it is during activities or nightly during the world class dinner service and you will have time for each individual to do what suits them. What could be better? Ships are Safe Places - Another negative that comes along with cruising is the safety factor, both in terms of being away from land and the aspects of being on the ship such as sea sickness. Cruise ships are actually a very safe mode of travel. What other vacation destination that you may book has the ability to sail around bad weather? Good luck having the Caribbean resort pick up and move to keep you out of the storm! Cruise lines have very high safety requirements and they are actually a very safe place to be. In terms of sea sickness this is a problem that gets talked up more than it should. The large cruise ships of today have great technology and this includes large stabilizers that get enabled while the ship is at sea. Don’t get me wrong, sea sickness can happen and it could happen to you, but chances are it won’t, and if it does it probably will not be as bad as it sounds. Carry some sea sickness medication with you just in case and the ship is also very proactive and helpful in these situations providing medicine if it is needed. The only other note is if you are traveling with children make sure and talk to your doctor about what medicine would be appropriate should they experience any nausea on-board. See Many Destinations Without Repacking - One of the biggest benefits to cruising is that you get to see multiple destinations without having to unpack, repack, and unpack again. Once again, this would be a lot more difficult if you were having to travel over land and stay in multiple hotels just to see different destinations. Not to mention you aren’t traveling in a bus or car, you are traveling in a massive floating city with hundreds of things to keep you busy and any type of food you could imagine. Sounds pretty good doesn’t it! Cruising is a Great Value - Another way that cruising is different than a land vacation is the better value it provides. Food is included, most of the activities onboard are included, and entertainment is included. All of these things make cruising a great value compared to land based vacations, not to mention the pure convenience of having your vacation paid for upfront versus coming home with hundreds of dollars in credit card charges for your meals. There are some parts of a cruise that are not included, such as alcoholic beverages and specialty dining, but the vast majority of things onboard are included and you can certainly have a fantastic cruise without spending much if anything onboard. Today’s Cruise Ships are Destinations - A final reason cruising is a great vacation option is that in today’s world the ships themselves are a great destination. There are many cruise ships that you could go on and have one week at sea with no ports of call and still have a fantastic vacation. The amount of entertainment on board is enough to sustain families of all types and sizes and of course there is a wide variety of food to satisfy you. Cruise ships being built today even have modern amenities such as bumper cars, ropes courses, ice skating, surfing, and zip lines, just to name a few. Just as that resort or theme park can be a destination on land the ships are destinations in and of themselves when we talk about cruising. Now that we’ve put all of the myths to rest about cruising make sure you contact us when you are ready to book your families cruise vacation. E-mail us at quote@bigdreamstravelusa.com for a free no-obligation quote. Try as I may, there’s really no way to successfully argue that the Disney World crowds during peak seasons are not that big of a deal. They’re a big deal. No doubt that traveling to the most magical of destinations during the summer, the ever-increasingly-popular Fall (with Epcot’s Food and Wine Festival and Mickey’s Not So Scary Halloween Party) or Christmas/New Years can cause your stress levels to rise just at the mere thought of it. However, those are some of the best times to make memories! Pools and waterparks, trick or treating at Magic Kingdom, scrumptious food and wine festivities and the fairy tale world of Christmastime--these are times that should not be ruled out just because there are several more thousand crazy mouse lovers there with you! While it can be tricky, navigating these popular times is absolutely doable and magical! Check out the following list of helpful hints and tips! Although I believe that staying in a Disney resort is always the best idea, there are occasions where families will rent condos, stay with friends or try a discount hotel to save money. Peak season is not the time for that! The travel time to and from property wastes valuable minutes, not to mention the extra parking fees and the chance you could always get lost! The Disney transportation system, whether by bus, monorail or boat, takes you right to the heart of the action! Those early morning or late night hours for Disney guests can provide guests opportunities to knock out several attractions! Sleeping in and enjoying easy mornings are wonderful if you’re on a cruise or at the beach. When you’re at Disney during peak seasons, it’s all about rising and heading to the parks! Grab a granola bar and arrive at the parks about 30 minutes before the Magic Hour opening. You could quite possibly ride 3-4 rides in an hour! Now, by the time lunchtime hits, the park that had the Extra Magic Hour will probably be extra crowded, so head home. Eat at your resort, take a nap, swim and then head back to a park. You could even leave one park and head straight to another that didn’t have Extra Magic Hour. Chances are that park won’t be as crowded. Don’t forget the late Extra Magic Hours! You can knock out several attractions that last hour after fireworks when people start to head home! I am not always a fan of park hopping, but during the busy seasons, it can be a life saver! Utilizing parks just for their Extra Magic Hour and then hopping to another park can prove very efficient to your conquering of the parks! Use those Fast Passes! Select those Fast Passes 60 days out! Do not wait until the car is packed and you’re heading east on I-10 to make those selections. Get to the parks at opening, and ride, ride, ride. Crowds are smallest in the morning, so no need to use Fast Passes before noon! Make your Fast Passes for early afternoon when things begin to get crazy. Then, once those initial 3 are used, use Fast Passes on every ride you can! Why wouldn’t you?? People flock to the streets to line up for parades and fireworks. Take advantage of that and hit some attractions. If you want to watch parades or evening shows, always choose the latest times. I picture my dad in socks and sandals, pulling out a map in the middle of Main Street pondering which direction we should point ourselves. Um, not these days! You must go with a plan! Websites, My Disney Experience, blogs, experienced friends and Authorized Dsiney Vacation Planners (like me!) can help you design a plan of attack for your vacation during these times. Ok, now that you have a plan, be flexible enough to stray from it just a bit! It is so essential to tour Disney with a plan, yet it is even more crucial to not be locked into that plan. Sometimes things don’t work out according to plan. A ride will break down. Cranky pants will needs nap to save everyone’s sanity. Dad loses his glasses on Space Mountain and must search now for them. Or the crowds will just be too much. Be willing to bend for the sake of everyone’s emjoyment and your ultimate success of your vacation. Magic happens in the World, but sometimes you must work for it and give just a little. Hey, we love what we do! Planning vacations aren’t overwhelming to us, it’s fun! Each family is unique and your vacation plans should be tailored to the personalities in your family. Our services are free and we are committed to you having the very best Disney experience possible! ​ As someone who loves working with clients to create the perfect vacation or getaway I am often faced with the task of booking one of these trips with just two or three months to spare or less. I enjoy every part of helping people in this area, but would like to present just a few of the reasons why I think it is important to book your vacations in advance if at all possible. First, booking vacation packages or cruises in advance gives you access to the best prices and deals possible. This is especially true with cruise lines as they work off of tiered pricing structures. The prices for specific cruises will usually creep higher and higher as the sail date approaches. This certainly may not be the case in all situations, such as land vacations, but when working with a travel agent like myself you should almost always get a package that can be modified. Meaning that if a better rate, deal, or price comes out after you have made a deposit on your trip or cruise your agent can get that applied for you and get the price of your trip to come down. So, you are in a win-win situation. If you book early and the price never gets lower, you win. If you book early and the price goes down at some point, you still win as your agent can modify your package! Second, the hesitation by many to book early is they do not yet have the funds saved or ready. Well, when working with a travel agent almost all of the packages or cruises we book only require a deposit and final payment is not due until a date that is usually between 30 and 75 days in advance of the trip. So, you are getting to book your vacation for the lowest possible rate because you book early and you do not have to pay in full until later. You are getting the best of both worlds. It is also important to note that vacation package or cruise deposits are refundable in almost every case up until that final payment date. So if something unexpected comes up you can get back the amount you paid as a deposit or move your trip to a different date in the future. A final reason that I always recommend booking early is that you have plenty of time to plan the activities that go along with your vacation. This factor is more important with some destinations than others. When cruising for instance many cruise lines are going to advance reservations for things such as specialty dining, spa services, and activities on-board and some are even giving a discount by booking and paying for these in advance. If you do not have a reservation well in advance you may miss out on certain experiences, restaurants, or the times you want for these events or meals. 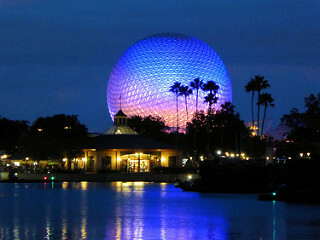 Another great example of trips we book all the time are families traveling to Disney World. Disney opens dining reservations 180 days prior to that date, so it is very important to have your trip planned by this point. With the popularity of dining at Disney and specifically the Disney Dining Plan many restaurants book a large amount of their times at that six month mark, leaving someone booking late in a tough spot. Now, as your agent we would do everything we can to watch and find a reservation, but planning in advance is a much easier and less stressful way of getting those important reservations. You see there are many great reasons and advantages to booking your vacation early. We realize this is not always possible in every situation and as an agency we will work with you regardless, but booking in advance has some great perks and if you've never tried it, contact us today and let's start on something for 2017. We are a full service travel agency located in the Oklahoma City Metropolitan area, but we have great clients all over the country and would love to serve you! Visit the Contact Us page for help with your next vacation.